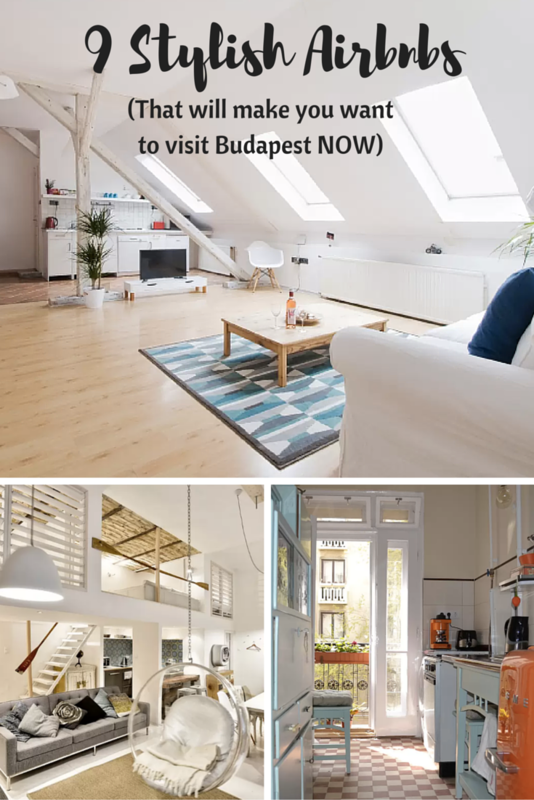 I’ve said it before, and I’ll say it again: Budapest has some of the most utterly gorgeous Airbnbs in the world. 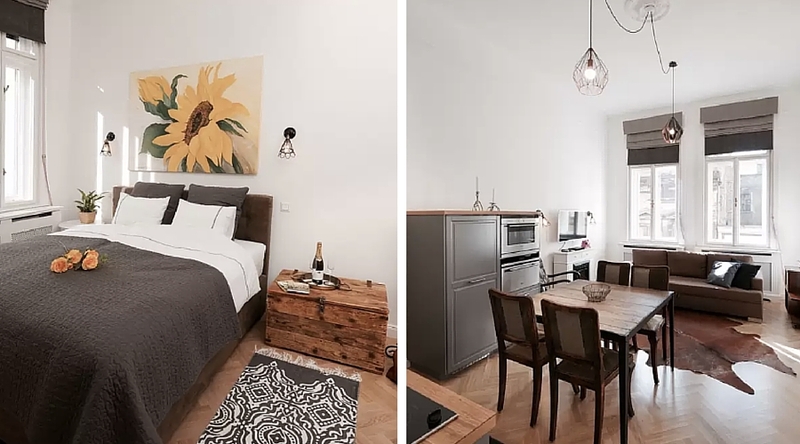 Next time you’re in Budapest, give the hotels a wide berth, and try out one of these stylish Airbnbs. I’m not sure why this listing needs 47 photos because I was sold on the very first one. 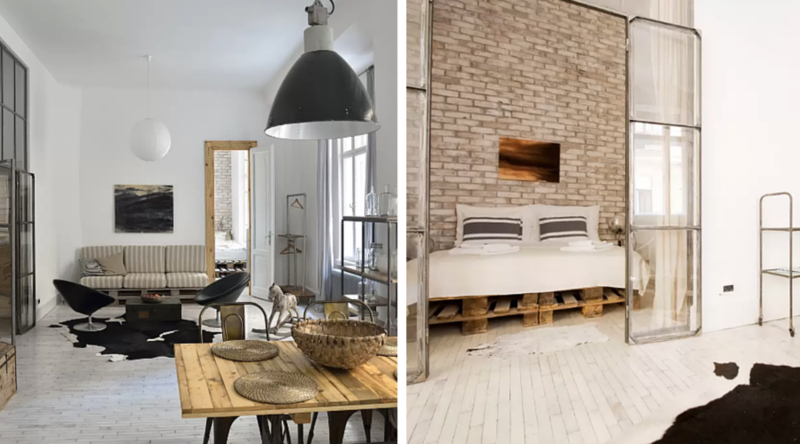 The apartment’s name sums it up perfectly, with its achingly cool wooden flooring, industrial features and minimalist walls making it appear like something out of an Ikea catalogue. Once again, ID Home 1.1 packs quite the stylish punch on the minimalist front. There’s quite a few things that I’d like for my own house here… like that rug. And that wooden trunk. And that champagne. Of course, the most important thing about this listing is that its headline literally screams ‘NEXT TO THE RUIN PUBS.’ But also, that breezy, spacious sitting room is just the most perfect spot for unwinding with your favourite person over a bottle of bubbly. 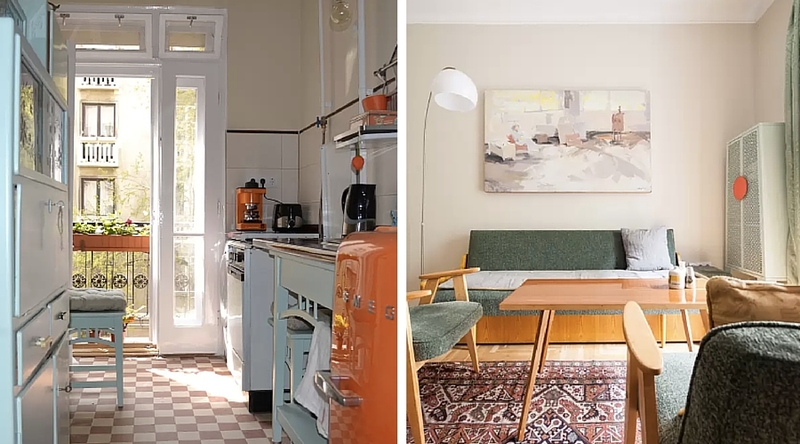 Although potentially a little further away from the sights than other Airbnbs on this list, the Stylish Downtown Apartment is quite possibly my absolute favourite due to its quirky little colourful features. A moment of silence needs to be had for that gorgeous balcony too. Perfect for one person to sit out in the sunshine with a cup of tea, a good book and absolutely zero cares in the world. I mean, this Designer Apartment (with A/C, no less) is just ridiculous. It’s like something P. Diddy would own or something. And for just £75 a night for up to four people, you too could live like an A lister for just under £19 per night! 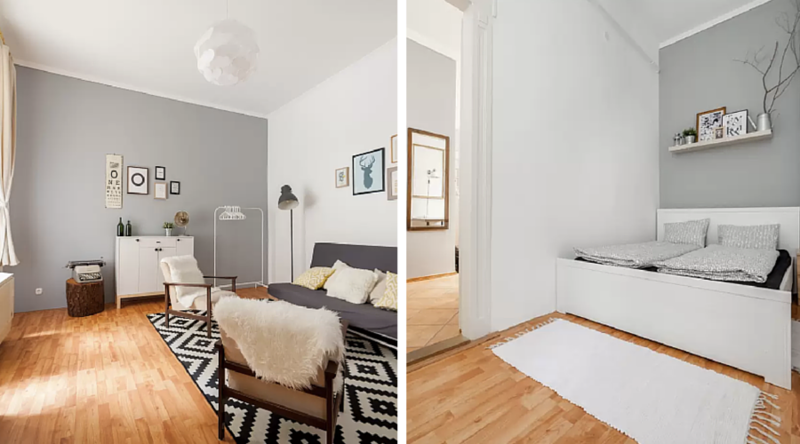 I’m not sure if it’s the filter or the design of the apartment, but this listing reminds me so much of something out of an old French movie. I’ve purposefully left out the picture of the mini library in the bedroom – every time I looked at it I started hyperventilating with happiness. What is it about Hungarians and industrial chic? They seem to LOVE it. Which is just as well, really, because it looks so damn stylish, as this listing shows. If I ever own my own place, I’m so having random blankets, frames, patterned rugs, an old typewriter in the corner… You can pretty much guarantee it’ll never look this good though. 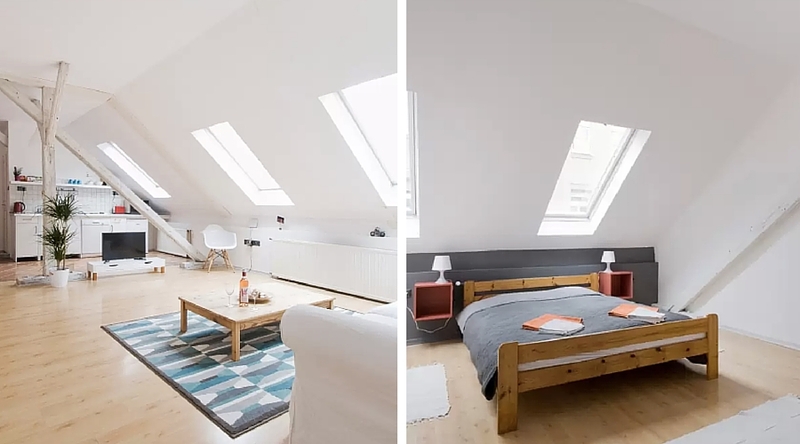 Located below the castle, this adorable apartment looks just as historic as its surroundings. Solid, wooden furniture and an old tapestry rug makes it feel almost medieval – but buddings chefs will lap up the modern kitchen with all the must-have appliances. 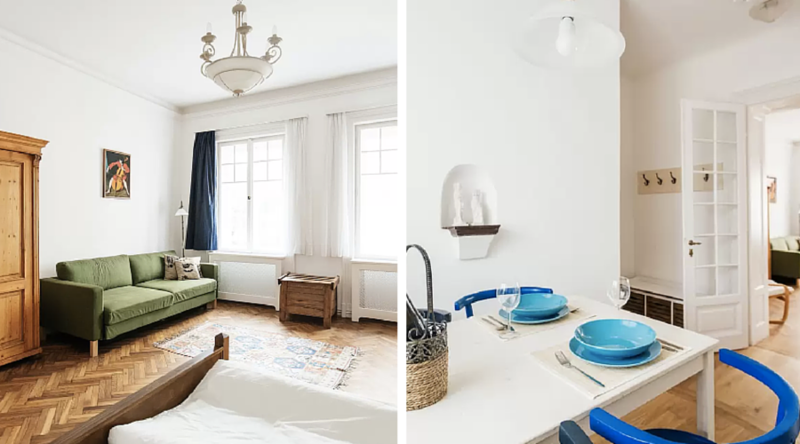 I couldn’t write a list of the most stylish Airbnbs in Budapest without mentioning the apartment that inspired this post – the Double Vintage and Hand Crafted Airbnb! The fairy lights! The floral rug! The colourful floor tiles! Easily the best place I’ve ever stayed in, without a shadow of a doubt. Since writing this article I’ve actually found approximately 5,624 more stylish apartments in Budapest that I could have easily popped on this list. 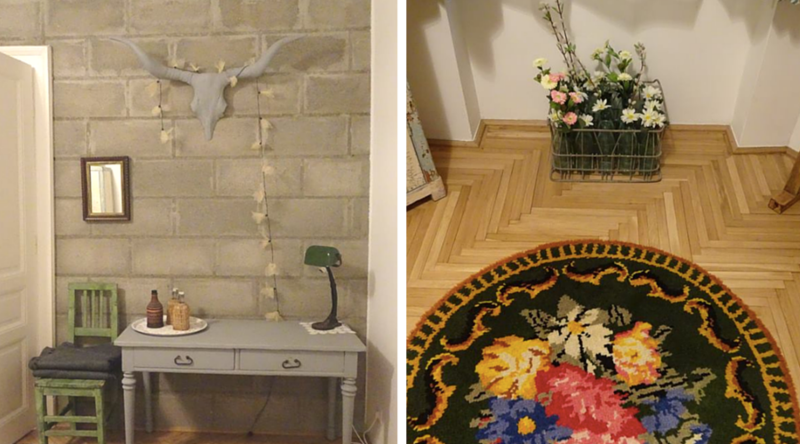 Which only makes me believe one thing – Airbnbs in Budapest are some of the most stylish in the world. What do you reckon? Are there any others you would add to this list? 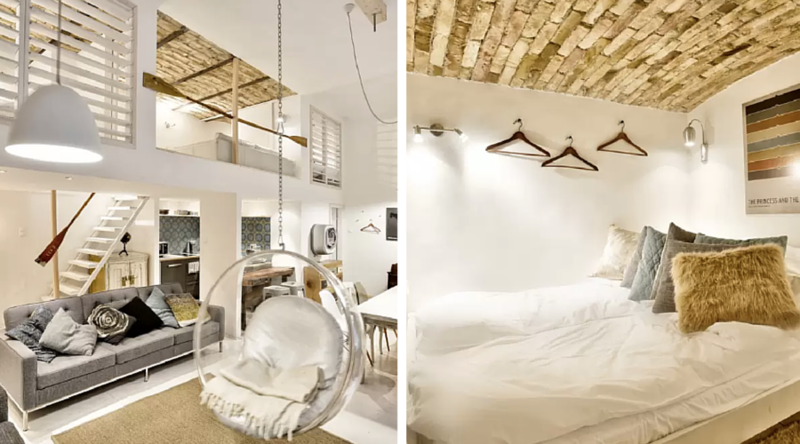 Or would you still rather stay in a hotel? 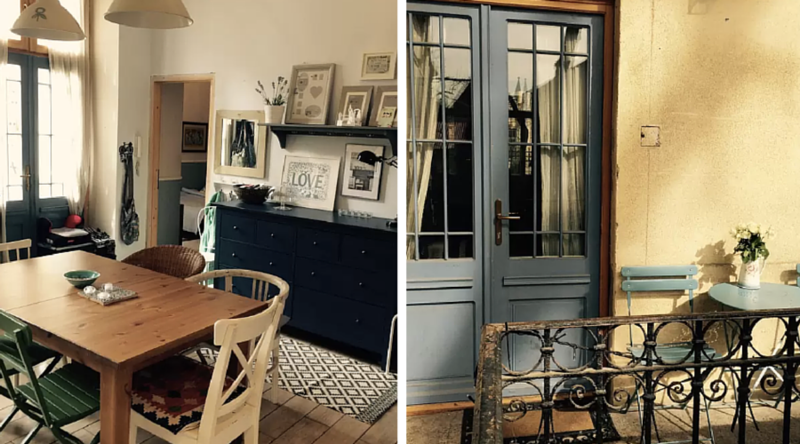 All images courtesy of Airbnb, apart from The Double Vintage and Hand Crafted where I stayed in March 2016. 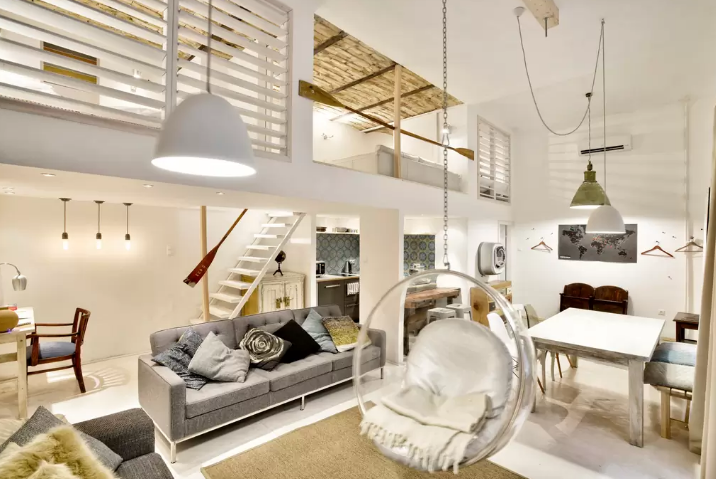 The designer apartment is gorgeous! Loving the blog’s new look too!